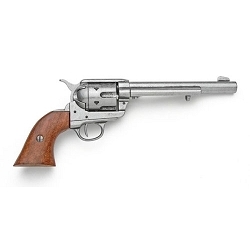 A great Single Action replica will give you the feel of the real thing without firing a shot. 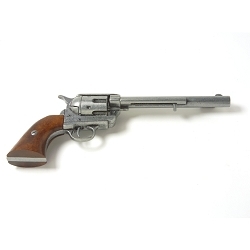 A near perfect replic of the M1860 Army, this is a NON firing gun, and would be perfect for display. With its 8" barrel and unique top break action, you will get compliments everytime with this revolver. 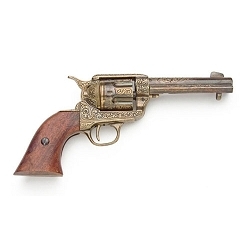 This revolver maybe small, but the Derriger packed a punch. 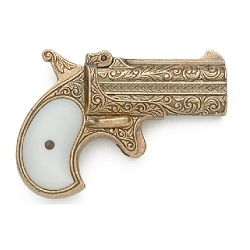 With a twin shot you can easily hide it in a vest pocket. 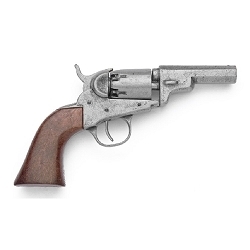 These models are completely safe and cannot be made to fire real ammunition. They come completely assembled, and ready for display in your home or office. 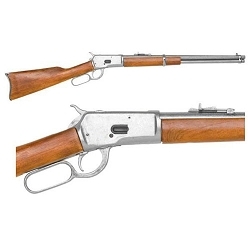 Brass finished receiver, blued barrel and beautiful wood stock, you can not go wrong with this lever action rifle. This replica, of the Model 1892 or "Little 86" is just the thing for that empty spot above your fireplace. 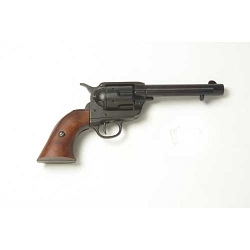 All working parts, great Antiqued finish, wooden grips with a star, how can you refuse this non firing replica! These fast draw pistols are our most popular replica gun! 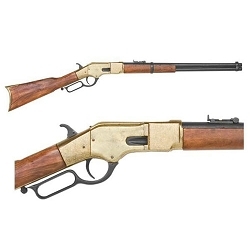 The M1873 fast draw replica pistol has realistic action that works just like the original. A true legend of the Old West, this Fast Draw has beautiful engraving on the nickle, all parts work, Non Firing. With a great antiqued finish and grips, the M1873 Cavalry is a classic, and with a 7 inch barrel it is impressive. 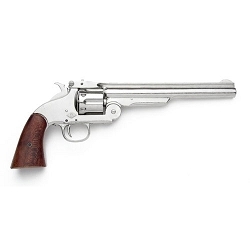 Non Firing Gun with moving parts. 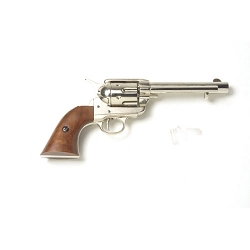 Used from the Gold Rush to the Old West Eras this non firing replica M1849 Pocket revolver feels like the real thing without the bang. This non firing replica has the look of use with the antiqued finish. 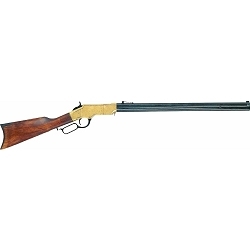 A Frontier Revovolver with moving part. 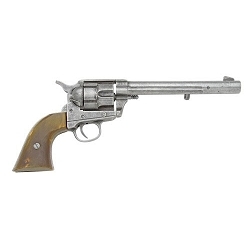 Non- firing pistol - M1873 Old West Revolver Gray 7 in. 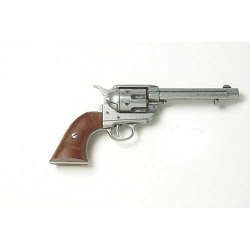 Non- firing pistol - M1873 Old West Revolver Nickel Finish 7 in. 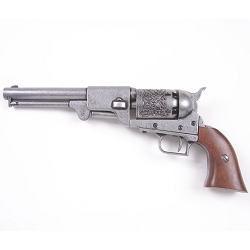 A great replica of the M1873 Cavalry Revovler, with moving parts. 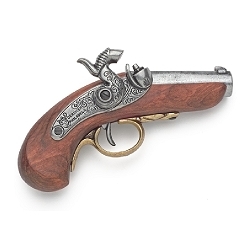 This is a Non firing gun and is perfect for display.